I'm getting so amped up for autumn! It's almost September, which means I have to really start getting into the Halloween spirit, don't you think? If you live in a rainy dreary wonderland like I do, you can get ready for fall with these spider web ponchos. These not only can be used for Halloween, but for most of the year. This will come in handy if it starts raining while you're trick or treating! Keep the kids warm, comfortable, and dry with this kid's size spider web poncho. Plus it will keep their costume safe if it does decide to rain on Halloween. I like to think about things in the long term. 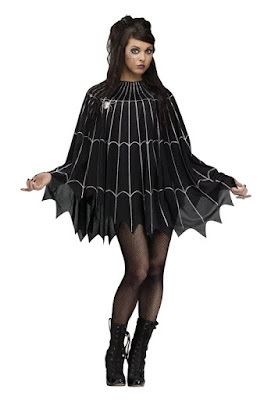 When I saw this adult spider web poncho I knew I could get away with using this all year. I can teenagers having fun freaking other kids out by wearing this throughout fall and winter. 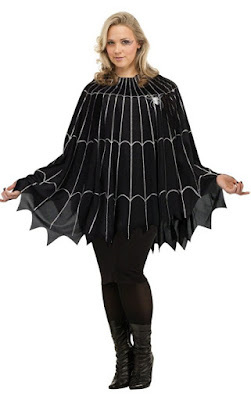 There is even the option of a plus size spider web poncho. Even if it is a little weird to wear this after Halloween, it truly is useful. It's important to protect your glamorous outfit under the poncho! 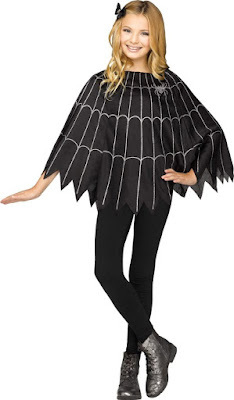 I really like these spider web ponchos. They're fun and keep their classic look! I love that it's totally useful and stylish at the same time. What do you think? Maybe it's a Pacific Northwest thing, but ponchos are pretty normal around here. Comment below!